Looking for SAT test dates for the 2017-2018 school year? Check out our complete schedule with registration deadlines. Prepare for the SAT online by taking this free sample practice test. The SAT test answer key is here. If you need a tutor here is a list of the best SAT prep tutors. Our SAT tutors are trained to approach each student’s individual needs, providing a customized tutoring program that is tailored to yield the best results! This entry was posted in Tips and tagged SAT Test, tutoring. 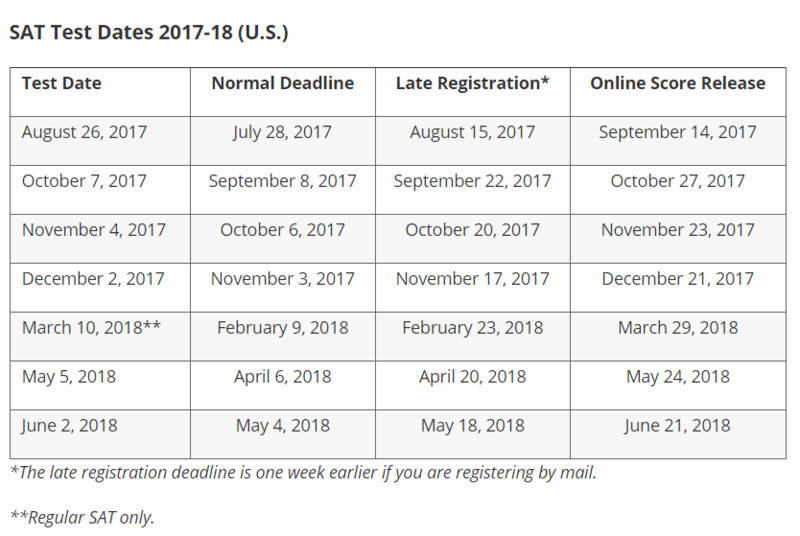 Familiarizing yourself with upcoming SAT test dates allows you to customize your study plan and choose a date that’ll fit well with your schedule.